Ten percent to 15 percent of adults in the United States experience the abdominal pain and bowel irregularity caused by irritable bowel syndrome, according to the National Institute of Digestive and Diabetes and Kidney Diseases. Finding ways to manage the disease not only improves symptoms but life quality as well. Apple cider vinegar is touted as a cure-all for a number of ailments, and some claim it helps improve digestion. It's not certain, however, if it's actually helpful for managing IBS. 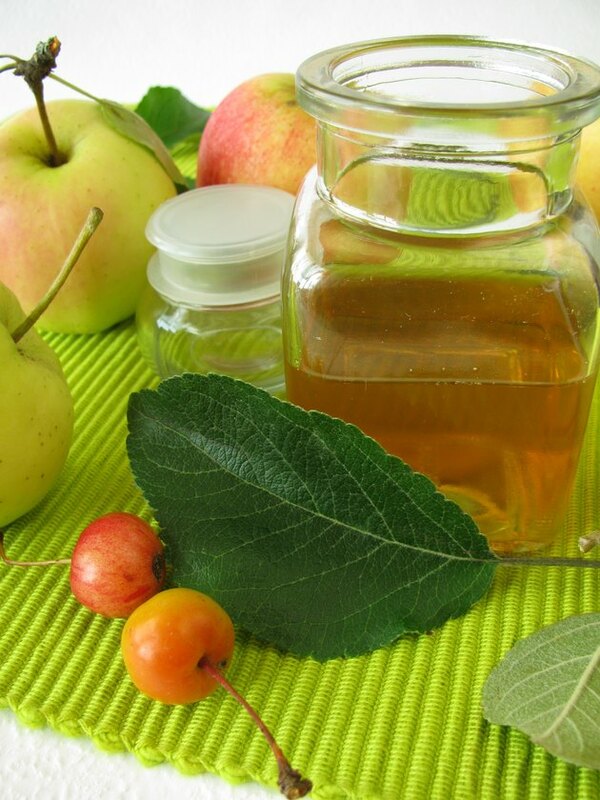 Apple cider vinegar is a fermented food made by introducing friendly bacteria to apple juice. The bacteria turn the sugar in the juice into acetic acid. It is considered a prebiotic, which means it acts as a source of food for the friendly bacteria in your gut, and this may help improve the balance of good bacteria to bad bacteria and aid in digestion. Prebiotics are currently used as a form of treatment for people with IBS. According to the clinical-practice guidelines for IBS published in 2014 in the Journal of Gastroenterology, however, there's only weak evidence to support the beneficial role of prebiotics in managing IBS. As a result, it's not clear whether apple cider vinegar will actually improve your IBS symptoms. While it's not yet clear if apple cider vinegar has any medicinal benefits, it makes a healthy addition to your diet plan as a low-calorie food rich in antioxidants. It's also a low-fermentable oligo-di-monosaccharides and polyols, or low-FODMAP, food. FODMAPS are types of carbohydrates that may cause abdominal discomfort, including stomach pain, gas and bloating, when eaten in excess. The clinical practice guidelines for IBS suggest a low-FODMAP diet as a way of managing the digestive disorder. There are a number of ways you can add apple cider vinegar to your diet. You can use the vinegar as a replacement for salad dressings that contain high amounts of FODMAPS, such as those made with high-fructose corn syrup. Or use it to make your own meat marinade to replace bottled marinades, which can also be high in sugar. In addition, apple cider vinegar may work well as an acidic ingredient for a grain salad or sweet and sour soup.